Chemical Imaging helps to answer difficult questions, especially when those questions occur in complex environments. For instance, forensic neuroradiology plays an important role in the courtroom to understand a defendant’s personality. But could this branch of science be essential in human exploration of space? Even if no emergency has happened so far, NASA established a partnership in 2002 with the U.S. National Institute of Justice to promote the knowledge of investigative techniques in the case of a crime being committed on a space mission. 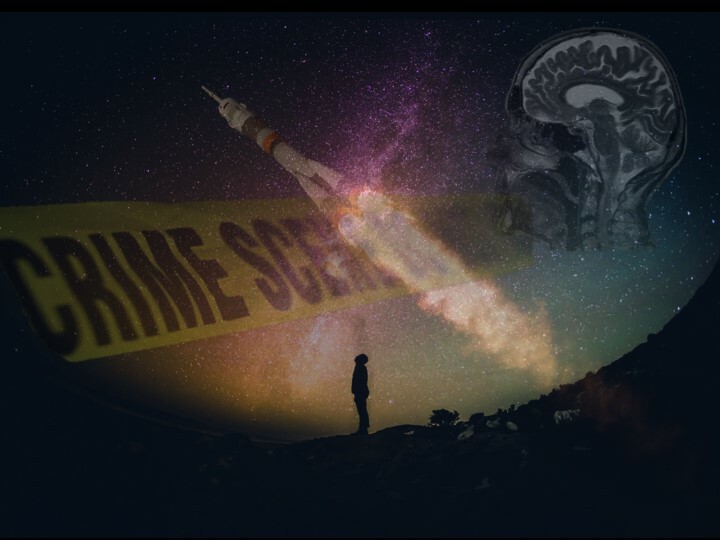 Based on forensic neuroradiology and behavioral genetics, this article presents a brand-new study protocol for creating security procedures designed to safeguard astronauts engaged in long-duration space travel. Since 2009 in Italy, some individuals have been prosecuted who, although convicted of murder, benefitted from reduced sentences through the verification of some genetic polymorphisms and Computed Axial Tomography (CAT), Positron Emission Tomography (PET), and functional Magnetic Resonance Imaging (fMRI) results which showed brain malformations that may produce manifestations of violence. The protocol specifically uses chemical imaging and behavioral genetics to show how cerebellar anomalies and biological markers predictive of criminal behavior can trigger impulsive reactions in response to stress. This protocol may prove critical when space agencies are evaluating candidates for extra-orbital flights of long duration. Vincenzo Lusa is a professor of Forensic Anthropology and Criminal Law at various Italian universities. He has published extensively in the fields of criminal law, criminal anthropology and criminology. He is first author and coauthor of over 50 scholarly articles as well as author of 12 monographs published both in Italy and abroad. His main research interests focus on crime responsibility and the neuroscience of intent. He was the first Italian scholar to be nominated as a Fellow of the American Academy of Forensic Sciences for the Jurisprudence Section. Annarita Franza is professor of Forensic and Cultural Anthropology. Her current or recent main research interests focus on forensic anthropology and on forensics applied in a broad area of science, including space research, geosciences, neurocriminology and scientific museology. She is an Associate Member of the American Academy of Forensic Sciences for the Anthropology Section.